You might have heard about the many kiwi fruit benefits. Body and mind are made healthier by this special fruit. It all starts with the benefits it provides to the whole body and we all know that a healthy body also leads to a healthy mind. If we are in good physical condition, our mind has one less issue to worry about. In here, we list the benefits that kiwi has to offer. 1. It keeps the digestive system well-balanced. It is one of the best sources of prebiotics or non-digestible food ingredients that stimulate the growth of good bacteria in the gut. These good bacteria are responsible for keeping our gut well-balanced, thereby protecting it from certain disorders like diarrhea, constipation, irritable bowel syndrome and other gut-related problems. 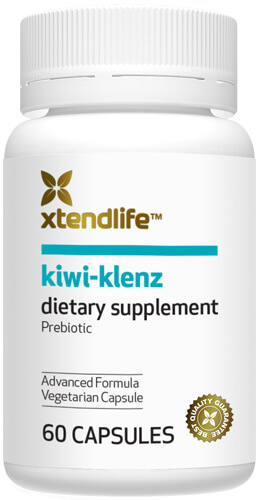 Nutritional supplements that contain kiwi, like Digesten-K, are best for keeping our digestive tract in good condition. 2. It lowers the risk of developing colon cancer. Of course, we are not claiming here that kiwi can cure colon cancer, but it can help arm the body from this condition. Primarily, its prebiotic content is the key to this benefit. Prebiotics are believed to be effective in creating an environment in the colon that is intolerable to bad bacteria, thereby minimizing the chances of these bad bacteria ever thriving in the colon. The high fiber content of kiwifruit is also part of the reason why it is believed to be effective in lowering colon cancer risk. 3. It helps protect the body from infection. It contains a lot of antioxidants which strengthen the body’s defenses against infections and other diseases. It is particularly effective in children, especially when it comes to preventing asthma. Kiwi has also been found to be effective in preventing coughing and wheezing in children. These antioxidants have wide-ranging benefits not just on the digestive system, but on the body as a whole. 4. It is good for the skin. The fruit has so many vitamins and minerals in it that it is practically a goldmine of good health. It is not surprising then that it has also been touted as a skin-friendly fruit. It contains vitamin E, thiamine and riboflavin which are best known for keeping the skin healthy and glowing. Added to this are the antioxidants that effectively keep the skin firm and free from blemishes. 5. It is good for the eyes. Research has shown that the high level of vitamins A, C and E in the kiwifruit can help protect the eyes from certain problems, particularly age-related macular degeneration. ARMD is a common problem among people in their more advanced years and studies have found that eating raw kiwi or taking dietary supplements made from this fruit can help stave off ARMD and other eye problems. 6. It is good for the respiratory tract. People who suffer from respiratory problems will greatly benefit from consuming kiwi fruit. The flavonoids, minerals, beta-carotene and vitamin C contained in this fruit can help protect the body from environmental toxins that can cause the respiratory system to weaken and develop problems like wheezing and coughing. Kiwi fruit benefits body and mind and you can have a choice of eating it raw or taking a kiwi-based supplement like Kiwi-Klenz.